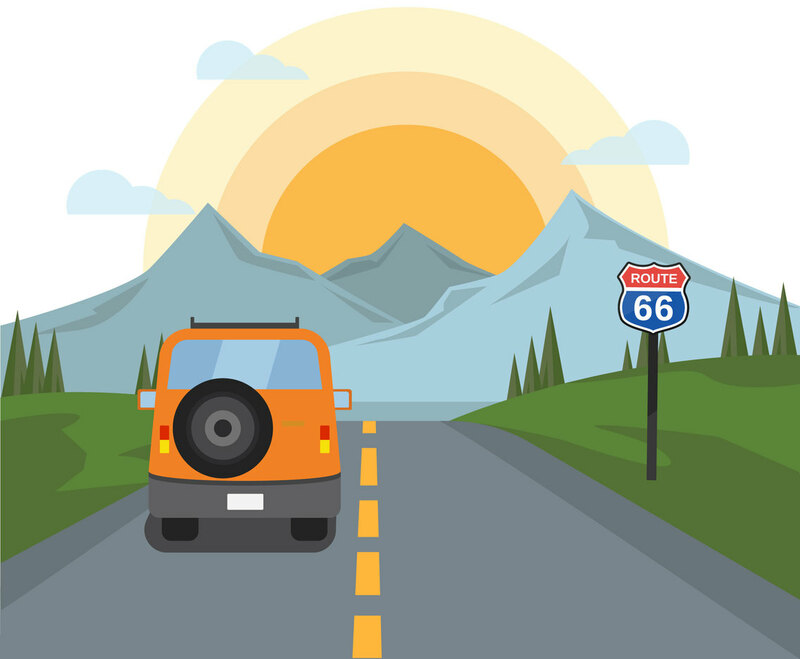 Vector illustration of road that heads up to the mountainous area. There is also a jeep vehicle included in the illustration. You can use this vector set as travel, tourism or hiking design related theme either in print or web.